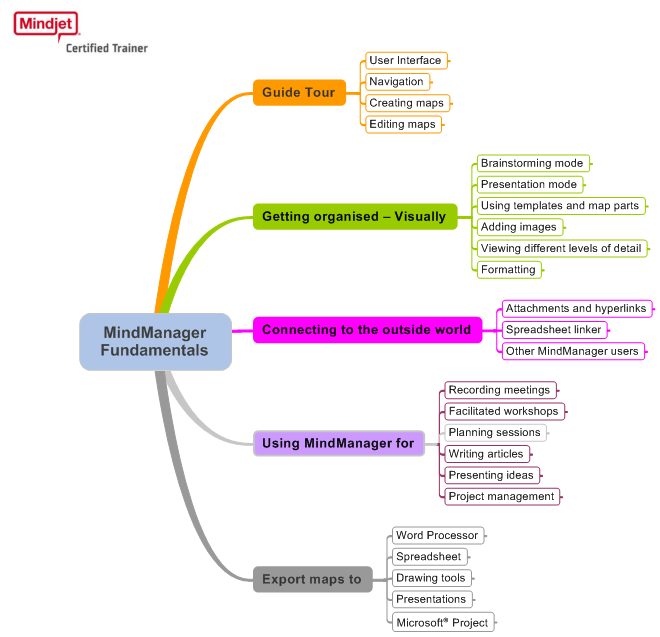 MindManager is a great tool for sketching out, developing and acting on ideas, and as a MindManager Accredited Trainer, John has trained teams in the agricultural, education, finance, pharmaceuticals and public sectors. 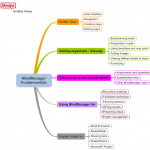 The compressed picture shows an outline of the MindManager Fundamentals course (produced with MindManager). Click the picture to enlarge. Microsoft Project can simplify planning, enable dynamic scheduling and is a powerful communications tool. John is a Microsoft Project Office Specialist and teaches in the education, food products, internet communications, logistics and pharmaceutical sectors and with public sector organisations. These practical courses demonstrate the power and versatility of Microsoft Project as a tool for Project Coordinators, Planners and Managers. On completion delegates will be able to create Gantt charts, prepare project plans, create meaningful schedules, run basic reports and track progress against a project plan. One or two day event (as required) in which delegates learn how to build a robust project plan. The course is based on the book, Microsoft Project Step by Step which also acts as a great reference guide. Two day event in which delegates build a PRINCE2 project plan in Microsoft Project. 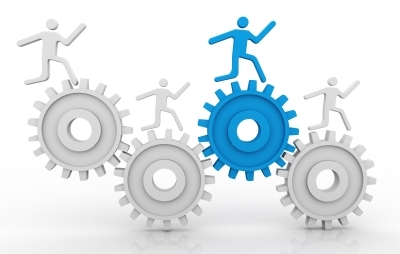 We start by using a worked example and then candidates apply what they have learned to their own projects.